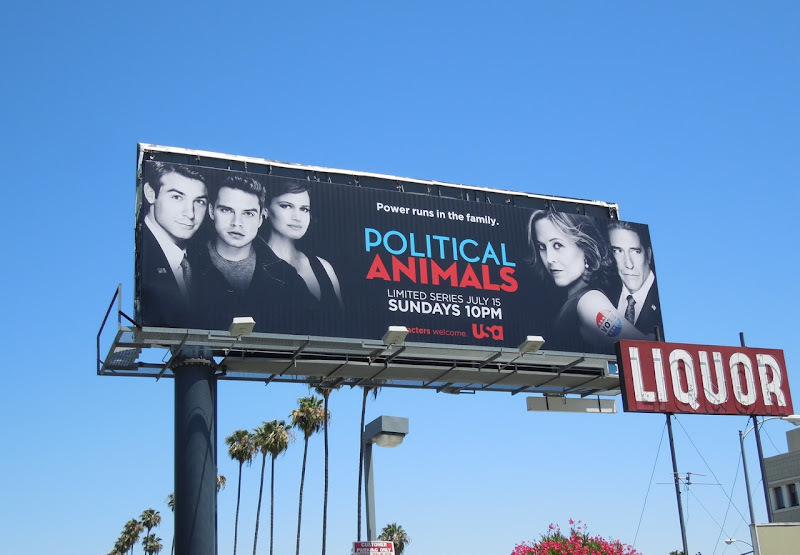 Sigourney Weaver continues the trend of big movie stars coming to TV, with a new six-part series about a former first-family navigating the worlds of politics and personal ambitions in Political Animals. 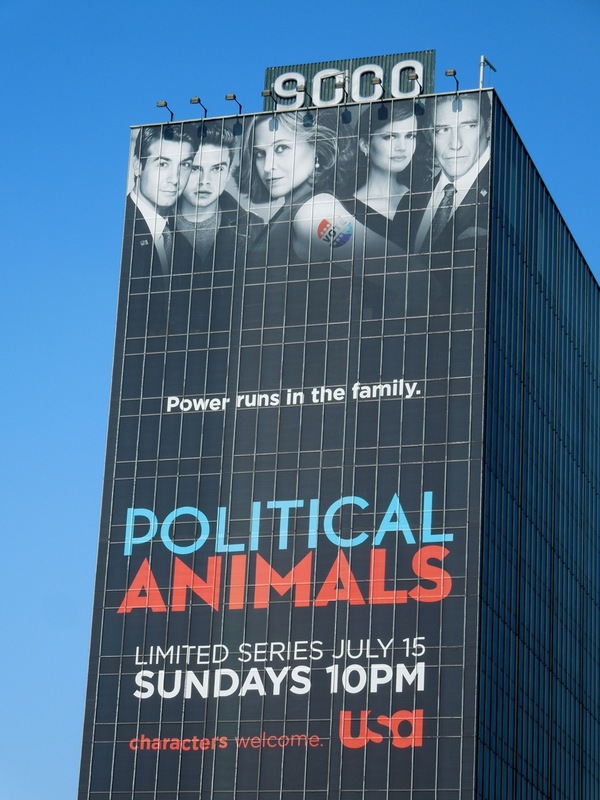 The actress made famous for her starring role as 'Ellen Ripley' in the Alien movie franchise plays a more down-to-earth part as a former first lady and current Secretary of State 'Elaine Barrish Hammond', which shares more than a few similarities with Hilary Clinton (although this character actually divorced her cheating husband). 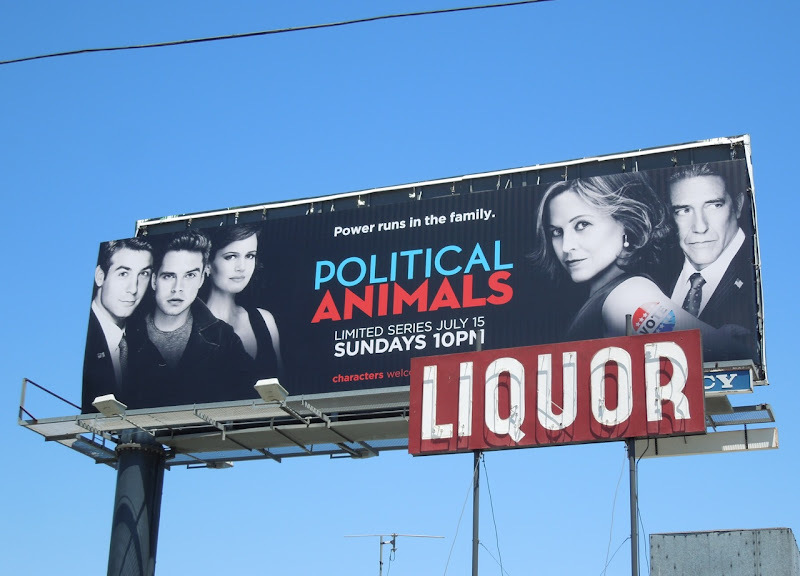 As like in real life, there's nothing like politics and family disputes to cause a bit of drama. 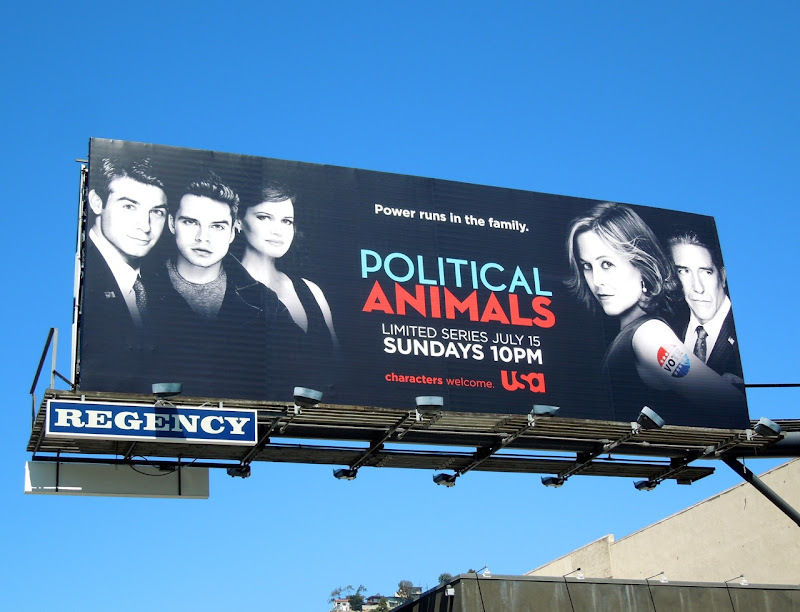 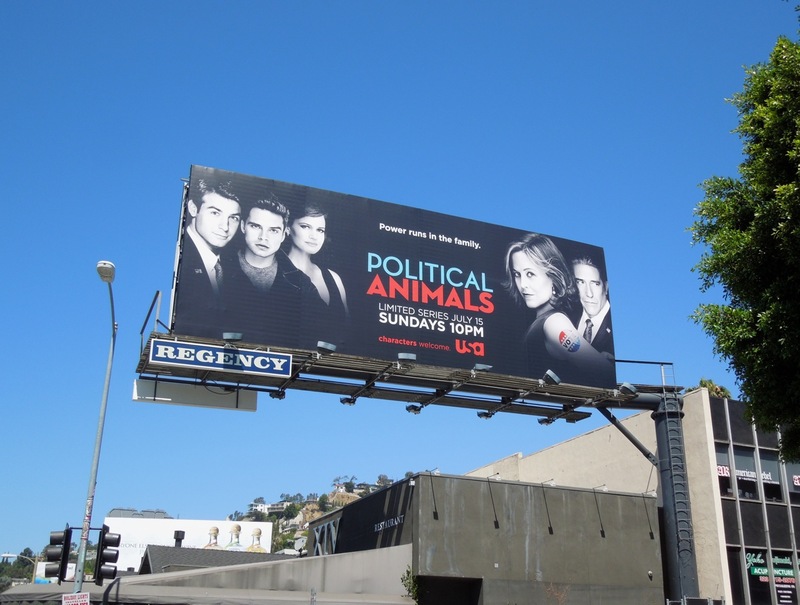 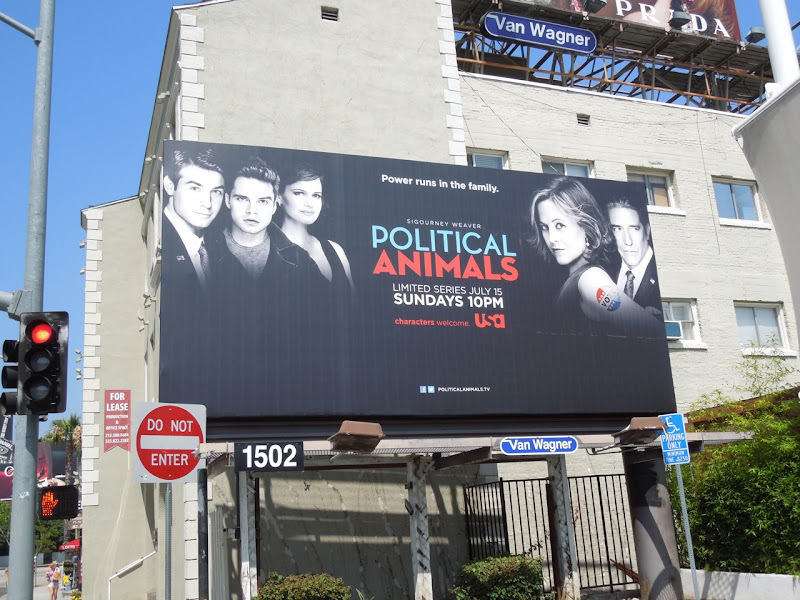 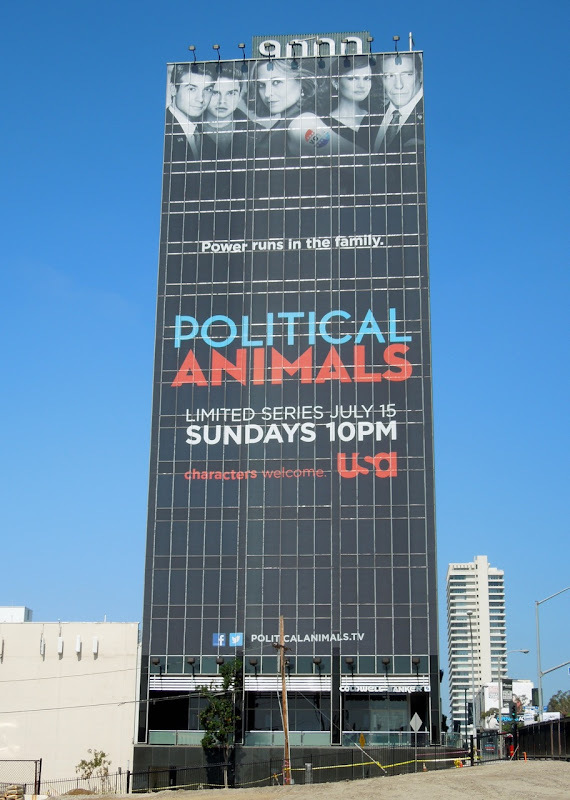 These billboards for the new limited series make a statement out all over L.A., with their bold design of characters lurking in the shadows combined with the patriotic red, white and blue colours suitably evoking the political sphere. 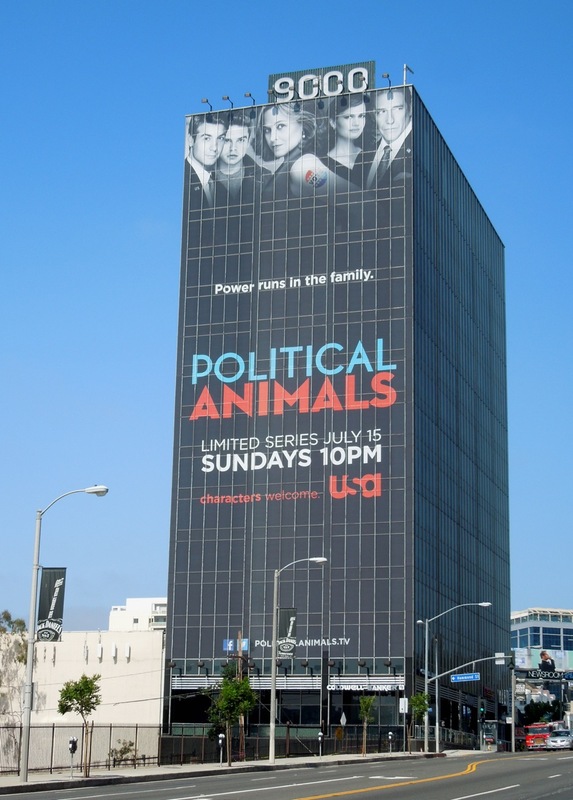 The landscape billboards were snapped in three locations along Sunset Boulevard on June 28, whilst the super-sized version standing tall over the Sunset Strip was captured on July 7, 2012.